A four-month-old Iranian baby named Fatemeh was scheduled to visit the US for a critical procedure when she was barred from entering the country due to President Trump’s travel ban put last week. However, she was finally let in and doctors will treat him for free. Her family’s anguish ended Friday when they were granted a waiver to enter the US, Gov. Cuomo told the Daily News. Cuomo, smitten by the cherubic tyke and incensed over Trump’s ban, secured legal assistance for her family and said doctors at Mount Sinai have agreed to perform the much-needed procedure for free. Word of the waiver came just as a federal judge in Seattle granted a temporary restraining order halting Trump’s executive order. The governor worked with the International Refugee Assistance Project to petition on behalf of the family. “We will continue to work with the International Refugee Assistance Project to ensure this baby receives the treatment she needs, and fight for those being unfairly shut out of America’s gates by this policy,” Cuomo said. The law firm of Paul, Weiss, Rifkind, Wharton & Garrison agreed to cover the family’s expenses and legal costs, Cuomo said. 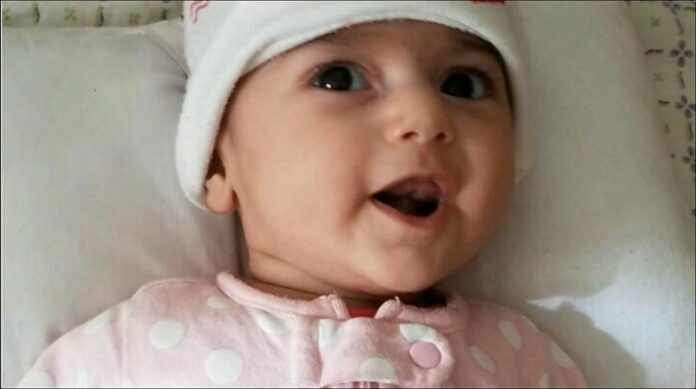 Fatemeh and her parents were scheduled to meet with doctors at Oregon Health & Science University this weekend. The family was set to travel to Dubai, en route to the U.S., when Trump signed the order barring visitors and refugees from seven Muslim-majority countries. According to medical records, Fatemeh has structural abnormalities and two holes in her heart. “Her heart is twisted. Her heart’s working overtime to compensate … and it’s causing more and more damage to her every day that she doesn’t have the surgery,” attorney Amber Murray, who was assisting the family’s petition for a visa waiver, told the Associated Press. Now, the adorable infant will get to see a doctor. “I am pleased to announce that the world-renowned pediatric cardiac surgical team at Mount Sinai Hospital, who has extensive experience in managing patients with this condition, has generously offered to provide the surgery and medical care at no cost to the family,” Cuomo said. It is not clear if she will be treated in Oregon as originally planned, or if the family will take Mount Sinai doctors up on their offer. Oregon senator Jeff Merkley also submitted a formal request for a waiver to allow the little girl into the country, according to the Oregonian. “A little girl’s life is at stake,” he told the newspaper.